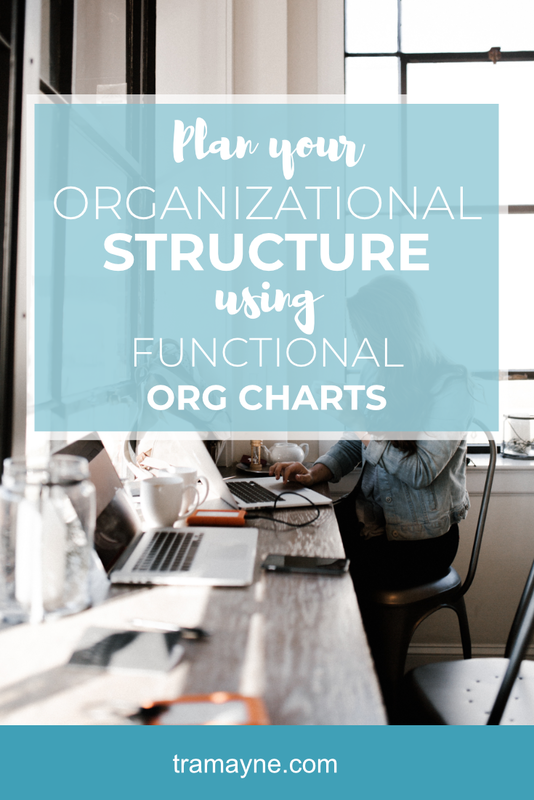 Use functional org charts to grow your business - Selena Tramayne, Ph.D.
Do you have a clear picture of your current and future organizational structure? 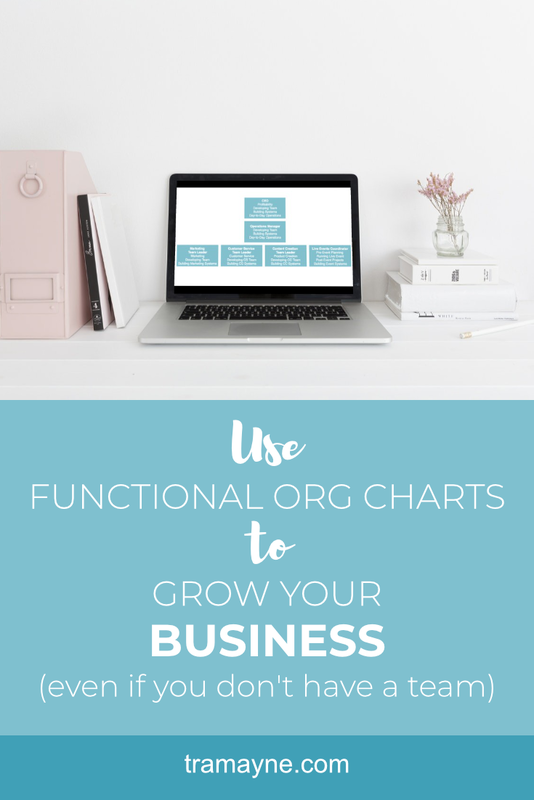 Creating current and future functional org charts can help you get a clear picture of where your business is at right now. AND where it's headed. A functional org chart looks like a regular org chart, but has one big difference. It also includes the top 3-5 key responsibilities for each position. It helps make it clear what the roles are and what their top priorities are. It’s best to have two versions — your current chart and where you’re headed in the next year or two. You can see that they’re fairly small now. Yet, the CEO is planning to put on the company’s first live event next year. She doesn’t want to manage it all herself, so she plans to bring on an operations manager and a few others. 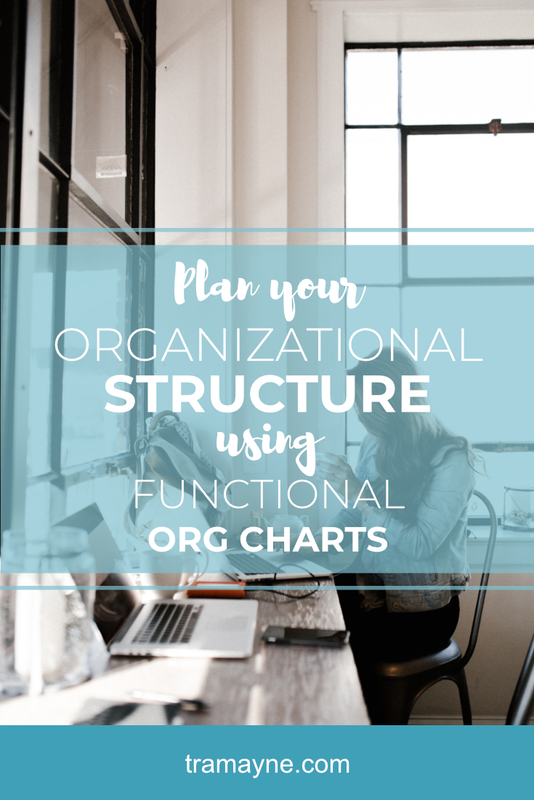 You can also create a functional org chart for your long-term vision — how you ultimately see the business going. You may have noticed that neither of these examples had names in the boxes. That wasn’t for demo purposes. When creating your functional org charts, only put the roles and functions in. No names at first. And if you're a one woman shop, still do this exercise because it's important for you to see how many hats you do actually where. As a one woman shop myself, this exercise is important for my day-to-day operations. When I'm doing a task for my business, it's helpful to think about what role it fits into. Am I in the role of CEO? Social Media Manager? Copywriter? It helps me focus on the task at hand and how to perform it to the best of my ability. Creating functional org charts is an opportunity to get a birds eye view of your business without thinking about who is doing what. You never want to create roles and job descriptions based on who is on your team because people come and go. You want to create roles and job descriptions based on what’s best for your business. What will help it run smoothly, efficiently, and most importantly, effectively. You may find through this exercise that you have some people on your team not in the right positions. Or you’re not set up quite right. That’s part of what this exercise will do for you. It will help you get clear on your current state, and the state you want for your business. And then you can begin the process of working towards it.